Christmas time can be a very gloomy time for those who have lost a loved one recently. I saw a woman today that had just lost her husband to cancer. She has fallen apart, and doesn’t know how she can go on. She told me she feels so empty inside. I know other people who are feeling ’empty’ this Christmas, for they have lost a husband, a wife, or a child this year. I am about to do a special Christmas sermon this Sunday, wearing my Christmas pajama’s. I shared last Sunday to those who might have been offended at this, the reason for doing so. 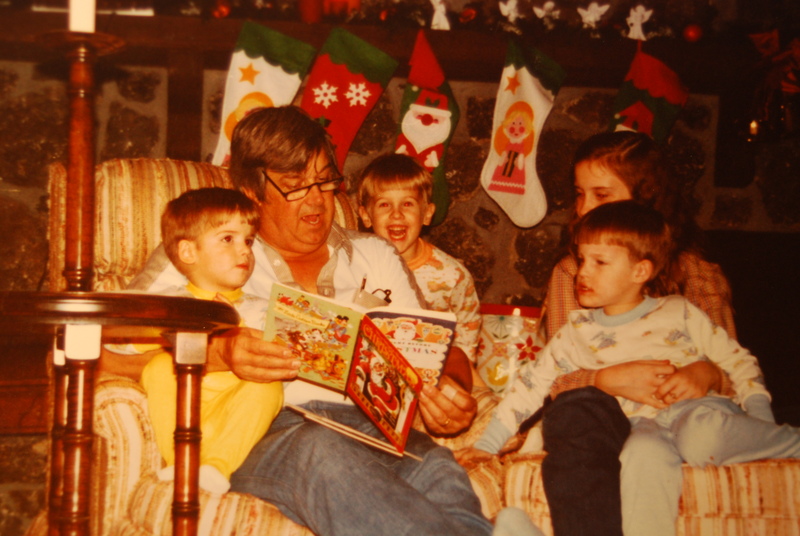 It is because of the most meaningful Christmas I ever had, a morning when my Dad read the Christmas Story in his pajama’s. 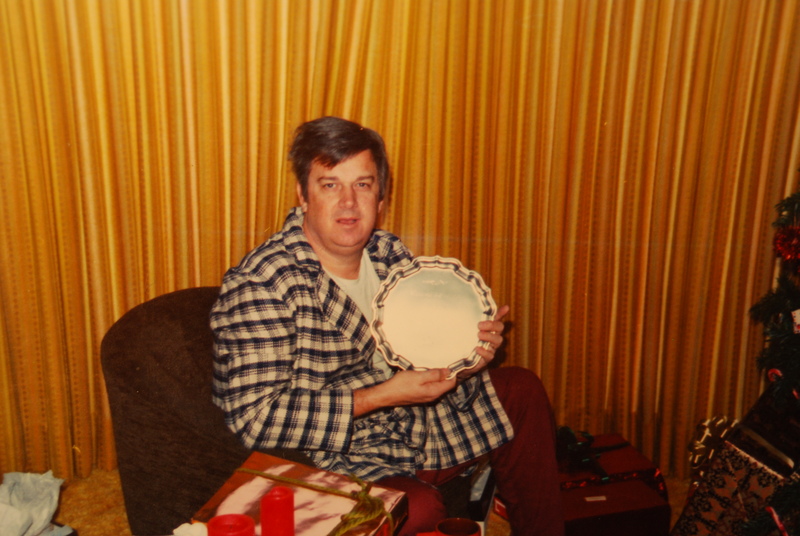 My Dad did not know the reality of Jesus until late in his life. Until Jesus became real to him, Christmas was just another secular holiday. My Mom made sure Jesus was mentioned, but He was pushed over to the side, crowed out by all the toys and gifts. When Dad discovered the reality of Jesus Christ, his whole life changed. Everything, his home, his business, his life, his hopes, became centered around Jesus. Jesus made a difference in the way he related to me. I was a young man of 18 headed to college when he came to me and said with tears in his eyes, “Son, God has given me a second chance”. He then asked me to forgive him for not being a good father. It was the first time I ever saw my Dad cry. 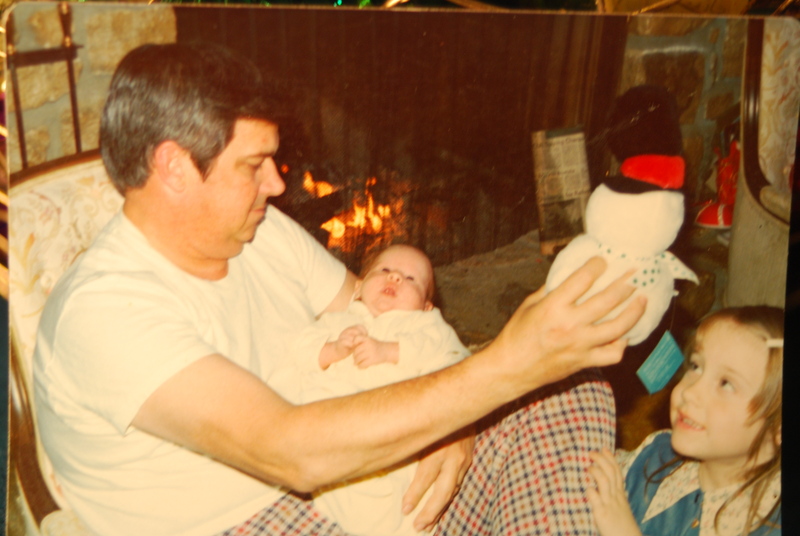 I was so touched by his embrace and tears that this memory is constantly with me. Christmases were different after this. The emphasis was upon Jesus Christ. Presents were secondary. Little did I know that just three years later I would be home, with my wife and one month old son, celebrating Christmas with my family. As I held my son, I thought, how can I ever be a good father to him? I didn’t know where to begin, or what to do. Fears overwhelmed this young father of 21. As I sat on the couch holding my son Benjamin, my pride was overwhelmed by a sense of inadequacy. Then it was time. 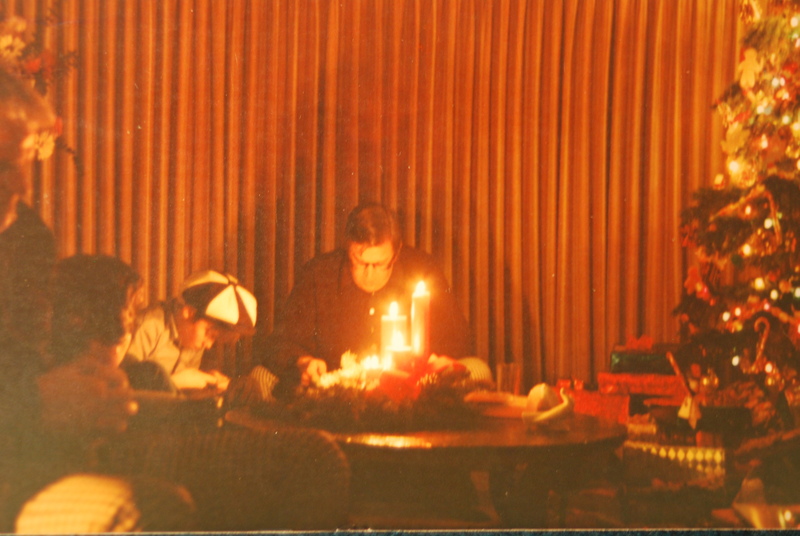 The candles were lit, lights turned off, and in the early morning dawn of Christmas Morn, 1974, my Dad read the Christmas story from Luke. I thought of Joseph and Mary, charged with the responsibility of raising the Messiah, the Son of God. How inadequate they must have felt. I thought of Joseph, and how he loved Mary so much that he endured the criticism of his friends and married her. What drove him to do such a thing as to marry a woman whom the Law said to stone? What drove a young betrothed girl to submit to having God’s son when she knew it would cause such problems? Then my Dad read the reaction of Simeon, who took the Baby Jesus and held him up, saying, “For my eyes have seen your salvation, which you have prepared in the sight of all people, a light for revelation to the Gentiles and for glory to your people Israel.” (Luke 2:30-32) The light seemed to come on, and I realized that God had been very real to Mary, Joseph and Simeon. So real that they believed what He said. Mary believed the Word of God, Joseph believed the Word of God, and so put God’s will before their own comfort and concerns. 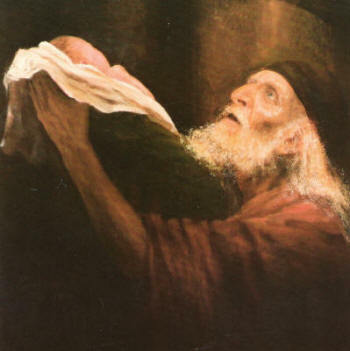 Simeon believed God’s Word, and so every day lived with the Hope of seeing the Messiah before he died. The Light of Jesus Christ had become real to my Dad, and now he lived with the real Hope of Jesus Christ. I did not know how to be a good father at the age of 21. I was scared, but I did have a Hope. I realized that morning that the Hope of Jesus Christ, the Messiah, is what guided Mary and Joseph, sustained Simeon, and now made my Dad the father that God wanted him to be. If I was to be a good Dad to my son, my Hope would have to be in Jesus Christ, and not in myself! The Engraving Congratulating the New "Grandpa"
Did we mourn and grieve? Certainly? Did we feel an emptiness? Definitely? Did we feel helpless? Never! Did we feel Hopeless? Not in the least! The Hope of Jesus Christ that had become real was also our Hope! Jesus was real to my family because of the influence of “Big Daddy”! Is your faith and hope in GOD? If not, allow me to introduce you to the Living Hope, Jesus Christ. It is through Him that my Dad was changed, it was through Him that my family was changed. It is through Him that your life can become rich and full, even when you have suffered a devastating loss. PS: Benjamin is a grown man with a family of his own. He and his wife have two beautiful young girls. My son has established his family upon the hope of Jesus Christ as well. I know Bid Daddy is very proud of you, Ben!